ILANTUS, is a pioneer in Identity Access Management, it brings strong domain experience of working with enterprises across North America and India. 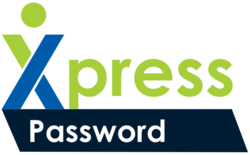 Xpress Password is a Software and a next generation password management and password synchronization tool that provides users reduced sign on experience along with advanced password self-service capabilities from any device, anytime and anywhere. Built on industry leading and proprietary technologies, it offers a comprehensive suite of features that enable organizations to take control over its password challenges cost-effectively, quickly, and with ease. Xpress Sign-On is a Software and a next generation Single Sign-On solution that provides users with seamless and secured access to any thick and web based on-premise or cloud application from any device, anytime and anywhere. With Xpress Sign-On, users have to sign-in once and they don’t have to type their User ID/Password again and again. Built on industry leading and proprietary technologies, it offers a comprehensive suite of features that enable organizations to take control over its IAM challenges cost-effectively, quickly, and with ease. Xpress Governance is an access governance Software tool that helps enterprises to address business challenges, such as continuous compliance, user access certification &consistent access monitoring across heterogeneous applications. Built on industry leading and proprietary technologies, it offers a comprehensive suite of features that enable organizations to take control over its IGA challenges cost-effectively, quickly, and with ease.